Dental implants offer some amazing and unique benefits for your oral health. You’ve been reading up about different tooth replacements and perhaps you’ve decided that dental implants sound like the best option for you. After all, they are designed to last decades and they even function just like real teeth. This small metal post might not look very impressive at first glance, but our Augusta and Evans, GA, dentists Dr. Scott Wingard and Dr. Caleb Morris can use dental implants to give you back that full, beautiful smile you’ve been looking for. After dealing with tooth loss the last thing you want to think about is having to deal with a restoration that you will have to come back every few years to replace. Dental implants are truly the next best option after maintaining your own natural teeth. This is because they function just like real teeth, replacing your missing tooth roots to support a false tooth. Implants have an extremely high success rate, and once the implant is placed into the jawbone it could last the rest of your life if you maintain good oral hygiene. Sure, the dental crown itself may need to be replaced at some point, but the implant itself will stay put. Not being able to chew certain foods properly can not only impact your quality of life but also affect your nutrition. Luckily, because implants fully restore chewing you can feel confident enjoying all of the foods you did prior to tooth loss. This is one of the biggest benefits of dental implants since jawbone loss is the most common complication associated with untreated tooth loss. 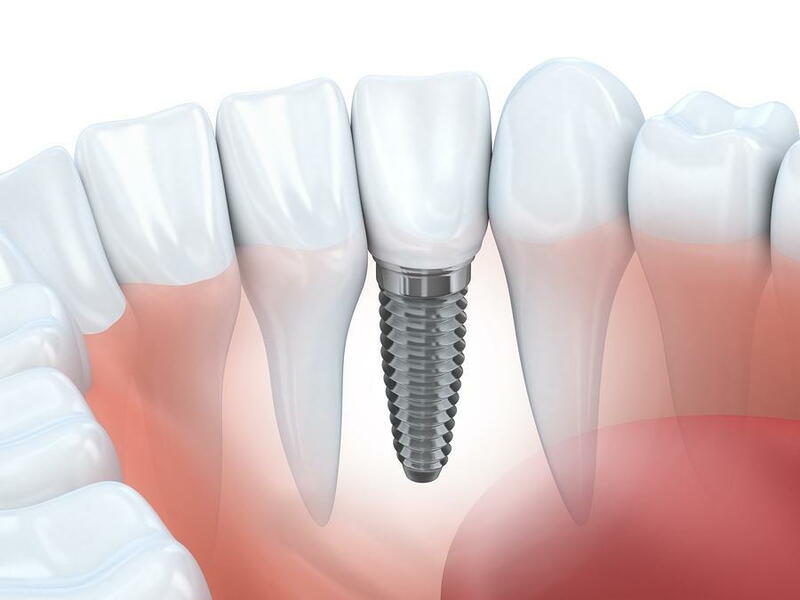 The sooner an implant can be placed after tooth loss the better, as this can prevent significant bone loss from occurring. This is because the implant itself actually stimulates the jawbone just like real tooth roots do. When there is a gap left over from tooth loss you better believe that over time the rest of your teeth will move into this open space if a false tooth isn’t placed. By placing a dental implant we can prevent teeth from shifting around and causing crowding, more gaps between teeth, crookedness and other alignment issues. Are you interested in getting dental implants? Ready to find out whether or not you are an ideal candidate for treatment? If so, then it’s time to turn to the dental experts at Summerville Dentistry in Augusta and Evans, GA. Call our office today to schedule your consultation.